All campaigns are different, whether it’s the sales pitch, prospect qualifying process, data submission, or payment capture. That’s why you need CallShaper’s dynamic scripting flexibility! Tailor your campaign’s scripting to match your client’s requirements exactly. Custom agent scripting can also be tightly integrated with your ordering systems. Enforce your business rules at the agent level – ensuring delivery of high-quality work to your clients. Contact us today to schedule a demo! Leads posted in real time are immediately available for dialing and you can track each real time source separately. Import leads from your own database or files from your lead vendors quickly and easily. Just upload the file, match up the fields, and let CallShaper do the rest. Need to test a new lead source? Have a hot source you want to prioritize? With our flexible lead dialing you can control the mix and priority of leads from multiple sources. To start getting the most out of your leads, schedule a demo today! TCPA rules on wireless numbers have turned outbound telemarketing upside down. 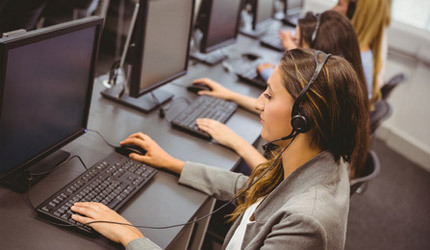 CallShaper checks multiple databases to determine if your leads are land-line or wireless, and applies the appropriate rules to keep you compliant. Just started buying leads from a new source? Our real time lead dialing reports will quickly reveal the winners and losers so you can react quickly. With CallShaper’s accurate, real time reporting, you can quickly measure agent and lead performance. Dashboard: Shows what is happening with your campaign in real time. Team: See individual agent performance as well as team summaries. Media: Analyze performance of your inbound media by type and individual advertisement. Lead File: Use this report to identify lead files that are out of juice or determine which lead sources are worth your money. Timesplit: See how call volume changes throughout the day. This report can help you staff appropriately to handle your inbound call volume. Sales: Have a campaign with upsells, downsells, or multiple product types? Use this report to find out what your agents are selling. Disposition: Find out why callers are not buying. This report will also help identify agents that may be selecting incorrect dispositions. Custom Reports: To fit your specific needs. It’s high time to experience our Real Time Reporting! Click here to schedule a demo. Thanks to CallShaper’s built-in Quality Assurance safeguards, poorly entered data, underqualified or misreported sales, and missing call dispositions are things of the past! CallShaper’s Quality Assurance Scorecard allows you to create questions and scoring based on your company’s policies, standards and the unique needs of your client. Not only does our Quality Assurance Scorecard ensure client confidence, but you’ll love the fact that it is offered at no additional cost! Why wait to delight your clients with a higher level of Quality Assurance? Schedule a Demo. 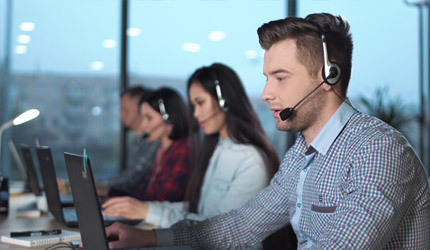 Our Outbound Dialer enables call center agents to increase their number of live connections dramatically, while keeping checks on quality control and adherence to all applicable regulations. Enhanced with statistical algorithms, our predictive dialer increases calls made per day; automates the call handling process; and reduces unanswered calls, long waiting times, and dead numbers. You are not limited to a tiny 4:1 dialing ratio, nor will you need to babysit the dialer. Best of all, our predictive dialer keeps your agents busy while adhering to all applicable regulations. 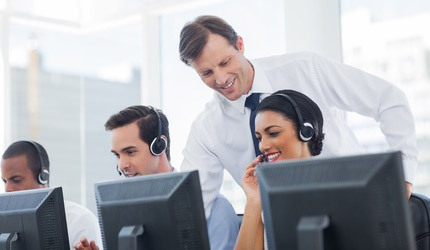 Use our Preview Dialer to allow agents to review detailed lead information before the call is connected. This mode is especially useful for business to business campaigns. Designed with TCPA compliance in mind, this mode is for dialing wireless leads where express written consent has not been obtained. Get dialed-in today with CallShaper! Schedule a Demo. Our drag and drop IVR editor allows you to route calls to the proper destination, send them to voicemail, transfer to a third party and much more. Make decisions based on agent availability, day of week, time of day, or type of call to handle your inbound volume as efficiently as possible. Build your IVR today with CallShaper! Schedule a Demo. When it comes to Telephone Consumer Protection Act (TCPA) and state regulations, CallShaper’s built-in compliance rules are one less thing to worry about! The industry average to keep call recordings and report data is only 60 days. But CallShaper retains this information at no charge for seven years, making it easy to research regulatory agency requests. Our Predictive Dialer ensures your campaign does not exceed the 3% abandonment rate limit and that leads are called at appropriate times during the day. No need to worry about telemarketing holidays or state of emergency declarations. We handle that for you. Leads are checked against the number portability database to prevent violating the TCPA rules regarding dialing wireless numbers with an autodialer. Need relief for compliance headaches? Schedule a Demo today! Need to tailor our system to fit the specific needs of your business? No problem! CallShaper offers many integration options, including APIs that integrate with your CRM. Use our Zapier integration to communicate with over 1,000 different web applications. Use Webhooks with our Dynamic Scripting to access and update CRM data in real time. Discover the integration difference with CallShaper! Schedule a Demo. 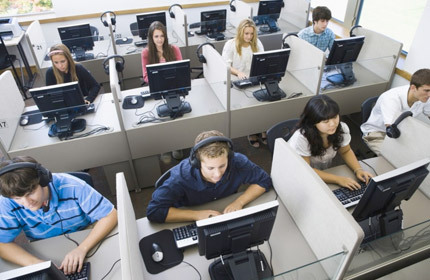 Call center directors retain full system control with CallShaper. There is no need for dedicated IT support. Our robust Help Center includes step-by-step articles, troubleshooting tips, training manuals and training videos. New customers receive customized training to get your first campaign up and running quickly. Contact us by phone, chat, or our ticket system. When you need help, our customer service team is quick to lend a hand. Experience our “white glove” customer support for yourself! Schedule a Demo! See for yourself how CallShaper will improve your operation.